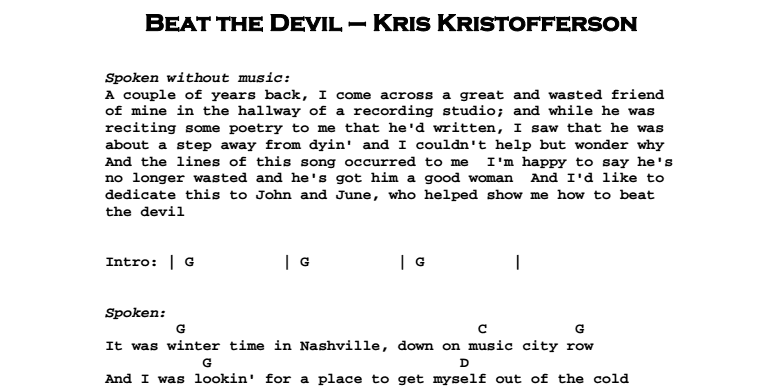 Learn how to pla Kris Kristofferson – To Beat The Devil note-for-note on guitar. Playing Style: Flatpicked – a mixture of strumming and picked bass notes. 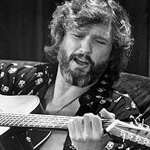 The lesson uses Kris’s guitar part from the studio version of the song but adds a few bass runs that pick up what the bass is playing on the record.